Overall, these are one of the best book I ever read. Rich of fantasy, great story yet very detail in terms of culture and characteristic of everyone involved. And who would ever guess - on recent interview, J.K. Rowling said that she knew all along that for her Harry's stories always related/inspired by Christianity. The last book, when Harry got killed by Voldermort and met professor Dumbledore in the after life. After THE conversation, Harry returned to Hogwarts to save the world. Reminds you of something? The crucification and the resurrection of Jesus people!! 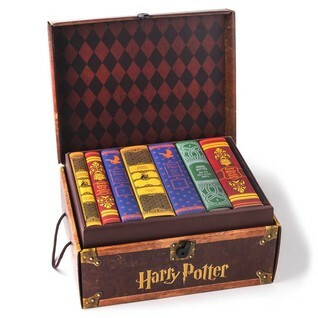 Sign into Goodreads to see if any of your friends have read Harry Potter Series Box Set.